It's been a great year. I know most people do all kinds of fancy stuff where they list all their most wonderfulest things of the year and all the most wonderfulest things they're looking forward to next year. And I love reading those! But I'm too scared to do it because I know I will leave something or someone out and then I'll feel guilty until the end of the next year. So, here's a blanket statement: I really loved 2009 and I can't wait for 2010!!!! 1. Sorry for the late notice, because I thought it was tomorrow, but all day today and tonight, there will be commercials for THE MAZE RUNNER running during the Twilight Zone Marathon on the Syfy Channel. It's supposed to run 11 times I think. Set those DVRs!!! 2. The commercial will also run during an episode of Fringe (Fox) in a couple of weeks, on the 14th. 3. My book made it on another "best of 2009" list, this time from Barnes and Noble: CLICK HERE to see it. Thanks BN!!!!!! 4. 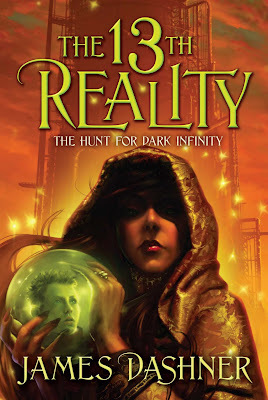 I hope the word is getting out that the paperback for the first book in THE 13TH REALITY series is now in stores, from Simon & Schuster (Aladdin imprint). It's called THE JOURNAL OF CURIOUS LETTERS. I really think those of you who liked MAZE will like this book! Give it a try. Book 2 comes out in paperback in February, then Book 3 in hardback in April. 5. I've noticed a lot of new people are discovering my blog. Welcome guys! I'm really glad to have you here. If you have a question, please leave it in the comments and I'll answer them in a future post. You can also follow me on Twitter (CLICK HERE) and you can follow this blog (CLICK HERE). 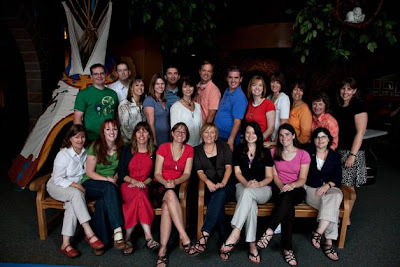 Gotta run, but I really look forward to getting to know more of you and hanging out with you here on the blog in 2010. Happy New Year!!! P.S. THANK YOU for all the nice words about The Maze Runner lately in the comments. I really appreciate it. Hi everybody! Isn't it so annoying when bloggers promise they've turned over a new leaf and they are going to blog like crazy from now on, and then more than a week passes and you don't hear from them? Yes, that is so annoying. I hope you guys are enjoying the time of year. I know I am. I really feel like I've turned a corner in my revisions for THE SCORCH TRIALS, so I'm feeling pretty good. My due date is January 4th, so I better be! 1. 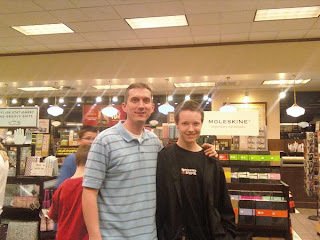 Late notice, but I will be at the Fort Union Deseret Bookstore in Utah tomorrow (Saturday the 19th) from 1:00 to 3:00. It's my last signing of the year, so come one come all. There'll be treats! Well, maybe not treats, but there will be books. 2. I'm very excited that the paperback for Book 1 of THE 13TH REALITY is finally coming out!!!!!! It will be in stores on Tuesday the 22nd (if not already). I received a copy and I love, love, love how it looks. And it's only $7.99. Pretty cheap for 500 pages of good times. That's the cover up top in case you missed it. 3. My good friend and editor, Stacy Whitman (who helped me a lot with THE MAZE RUNNER), is starting her own publishing company. Her goal is to provide more multicultural science fiction and fantasy, which I think is a very noble cause. Take a second and check out her website - you'll be very impressed: CLICK HERE. 4. If you'd like to read or hear an interview with me on The Author Hour, CLICK HERE. 6. I hereby declare and promise that I will never tease about good news again. I'm so sorry! I didn't think it'd take so long to get permission to announce it. Wait, I basically just teased you again. I'm awful. Truly awful. Oh come on, you guys can guess what it is. You're smart. Plus, I've seen it leaked on a couple of websites. 7. I also apologize for being so terrible at Twitter and Facebook. I'll set a New Year's resolution to be better in 2010! 8. Jeremiah, a faithful Dashner Duder, has set up a website for a battle between MAZE and Percy Jackson. I thought this was too cool for words. Please go vote your conscience! CLICK HERE. 9. It's Opening Day for AVATAR!!!!!!!! I'll be seeing it on the IMAX with my son at 3:00. Yeah boy! 10. The Falcons have no chance to make the playoffs. Oh, the horror!!!! First, as always, THANK YOU to those who left nice comments about my book. I never tire of hearing such things! Also, thanks for all the congrats on being chosen as a Kirkus best book of 2009. Laura asked what my next big thing I'm going to do that's not book related. Hmmmm. My family is going to San Diego in January. Sea World, Legoland, etc. Should be fun. Jack Porter asked how many times 13th Reality was rejected. Zero. They'd actually rejected something else but liked my writing, asked for a new proposal. The rest is history! But I've received at least 30 rejections throughout my career. #1dashnerfan, to find publishers, you need to check out a book called Writer's Market. Very good. Allison (Well Read Reviews) asked about the title for the sequel to MAZE. It's called THE SCORCH TRIALS and comes out next fall. You're gonna like it! And, wow, reading through the comments once again, I have to say thank you one more time. So many nice words! You guys are way too good to me. Thank you. Isn't it? Duders, we've entered easily the most favoritestest month of the year for me. I love December, and the only downside is that since it's begun, it means it will end. But that would be a really pessimistic way too look at it, so I won't. I refuse to think that the holidays will be over and then football soon after that. Oh, the agony!!!! Hmmmm. So what's on my mind today? 1. Still knee-deep in revisions. 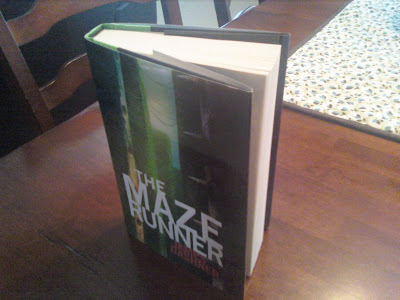 On two books (The Scorch Trials and The 13th Reality Book 3: The Blade of Shattered Hope.) I'm not a big fan of revisions, but I'm so glad I'm not an idiot and recognize the importance of giving it my best shot. I feel very good about how these books are coming along! 2. My drums are awesome. Really, really awesome. I love playing them. Sometimes my ears hurt. 4. Please, please, please go check out this EXTENDED version of the book trailer for The Maze Runner. It's twice the awesomeness! CLICK HERE. And please spread the word because these guys worked so hard on it. 5. A lot of people have asked me about a certain comment left in the last blog post of mine. Patience, my friends! Patience. All will be revealed very soon. 6. Could someone please explain to me what's up with the movie The Road? I'm dying to see it, and have been for at least a year, and I know it's been released, but it's still not in any theaters around here. Viggo aka Aragorn, could you please remedy the situation? I'm also looking forward to Avatar, Sherlock Holmes, Up in the Air, and about one hundred other movies. 7. People keep telling me in the comments that I'm not posting enough. I have slowed down a bit, huh? Okay, I'll try harder. 8. Note to everyone in charge of college football: You're not smart. Sorry, don't know how else to say it. You're just not very smart. If we had a 16 team playoff to look forward to, it'd be the most amazing thing since the spaceship was invented. Can you imagine the talk and hype over the first round alone??!?! Please quit your jobs and let people with brains take over. That is all. And sorry if I was rude. I'm usually not, really. 9. Had the fortune of attending the book launch party for BEAUTIFUL CREATURES by Kami Garcia and Margaret Stohl last week. Amazing authors, amazing book, amazing buzz. 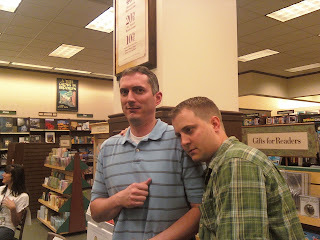 One of the greatest perks of being an author is hanging out with other authors. You should all do it! Seriously! Go write a book. It's awesome. 10. Remember to follow my blog (CLICK HERE) and follow me on Twitter (CLICK HERE). I know you guys get tired of hearing good news and feeling like you have to say congrats (which you don't, I swear), but I sure love getting it! Jade, I would LOVE to come to Australia. Make that happen, would ya? LT Elliot, I really, really love the Droid phone. Love, love, love it. One Cluttered Brain, don't know yet about St. George. Sorry! Laura and Nichole, about those drums. My best friend, Ben Egan, had a set when we were teenagers. He was very good on them, I was very bad. But he taught me how to play, and I got to where I could kinda do it. Then I went to a studio with my brothers last summer and played for awhile and fell back in love with them. Hence the gift. And I'm getting better and better, but not quite band worthy yet. Haha. My ultimate dream is to jam with Stephen King and his band of authors. As for a video? Hmmmm. Maybe. Maybe. dcaprice1224: YES! There is going to be a second book AND a third book. THE SCORCH TRIALS comes out next October, and THE DEATH CURE comes out in October 2011. Just think, when that happens, we'll only have 2 months left to THE HOBBIT in theaters!!! Debbie, yes, I like celebrating for as long as humanly possibly. I milk it like you wouldn't believe. Just ask my wife. Deb, don't count out the Falcons just yet. If they beat Phillie next week they are back in the playoffs. 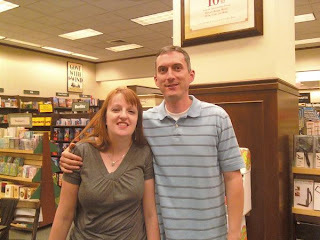 Alyssa, you can see all my books by scrolling down and looking at the right side of my blog. Kirsten, you know I can't show favoritism or it becomes too obvious! Most of all, thank you for the birthday wishes. I only have 2 more before I quit counting. 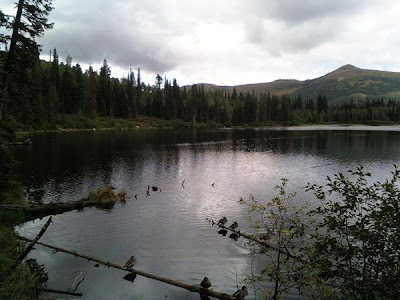 If you haven't "followed" me on this blog yet, please do by CLICKING HERE. And if you haven't followed me on Twitter yet, CLICK HERE. I promise to get better at it! You're already the voice inside my head. Hey! Ah, man. I averaged three posts a week for that one week and then ruined it all by averaging zero per week last week. And I used the word "week" four times in that last sentence. Bad writing. 2. 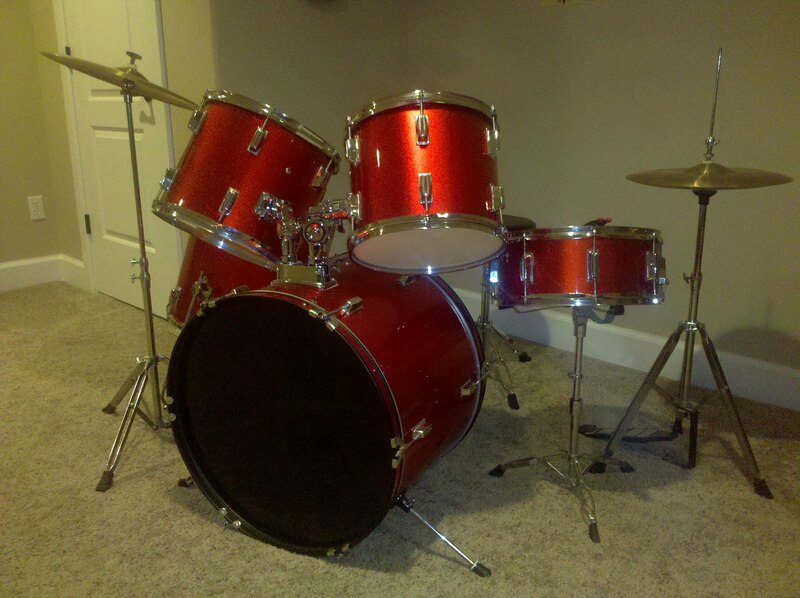 I'm slightly addicted to the drums. And really getting pretty good if I do say so myself. 3. I had a great time in Michigan last week. Thanks to everyone involved: the schools, the students, the teachers. 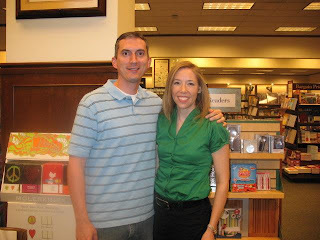 Thanks to both Barnes and Noble and Borders for hosting events and to all those who came. And I really enjoyed my luncheon at the Borders headquarters. Awesome people and it looks like they're going to promote The Maze Runner a lot this Christmas. Sweet! 4. But most of all I have to thank Mr. XXXX XXXXXXXX. (He insists on staying anonymous.) I didn't know people like this still existed in the world. He is genuine, funny, and completely and absolutely selfless. He personally funded this entire trip so that many students could have the experience of meeting an author (we did 5 schools). And he is by no means rich. I was truly blown away. 6. Thank you XXXX. I couldn't possibly say it enough times. You are a good man. 7. I've really sucked it up on Twitter lately. I promise to do better! 8. Especially considering my new phone makes it easier. So, I've always coveted the iPhone. But I held off because I LOVE Verizon so much. You can't beat their coverage and their incredible customer service. So when they came out with this new Droid, I couldn't resist. I don't know if it's as good as the iPhone, but it's awfully close. I love, love, love it! 9. I know all you iPhone users will look down on me. I don't care. I win. 10. By the way, I'll be 37. That is freaking old. 11. Maze was chosen for the Texas Lone Star Reading List. It's quite an honor and we are thrilled! Thank you Lori Loranger and everyone else on the committee!!!!! LT Elliot asked which kind of cheese I prefer: Well, honestly, I'm a blue collar cheese lover. Cheddar and Pepper Jack! Erin G: Yes, I knew you were kidding! Haha. Diva Donna: Yes, I know I owe you guys dinner. Soon!!!! Matt Hayes asked if I like 13th Reality or Maze better. Hmmmmm. Too close to call! Dave asked who is publishing 13th Book 3. Shadow Mountain will do the hardback in April, Simon & Schuster the paperback. ErinG asked if I would still write books if no one paid me for it. Easiest question I've ever gotten: YES! DkuzNY asked if Maze is going to be made into a movie. I certainly hope so, and though nothing has happened yet, there's definite interest and I really think it will happen. Jack Porter, great usage of the Maze slang words! And Aaron, no, I did not die. Thanks for your concern! Happy Friday! I'll have you notice that I've blogged THREE times this week. That is 3. Three times. Which means this week I'm averaging three times a week. Thank you. I have two bits of AWESOME news. Then I'll answer some of your questions from the comments. 1. I am very honored and excited to announce that THE MAZE RUNNER is listed #1 on the Indie Next List for this winter. This is done by Indiebound/American Booksellers Association, which represents all the many wonderful and supercool independent bookstores across this great country. You can read about it (CLICK HERE) and see the full list of selections (CLICK HERE). Congrats to all my other author peeps as well (I'm looking at you Bree Despain)! Now, I'm not sure what it means that I'm listed as #1. But considering I've never seen myself listed as #1 on any type of list, I will take it and love it. 2. I'm also being honored by the Hudson Booksellers Book Committee. We've all seen their stores in the airports, have we not? It's one reason I don't mind being early for flights! I hang out in that place till the last second. 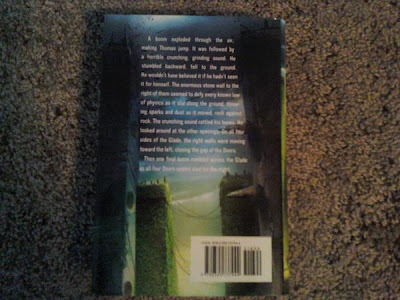 They've chosen MAZE as one of five best books for young readers for 2009 and it will be prominently displayed in their stores in December and January. I can't wait to see that! That'll definitely be one of those surreal moments for me. Anyone need to be picked up at the airport? 3. So, a very heartfelt and sincere thanks to Indiebound and Hudson. You have certainly made my week. I will be in Michigan next week, visiting some schools (all arranged by the very cool Charlie Stratton) and having a luncheon with the good people at Borders corporate. I also have two public events - please come see me if you live within 1,000 miles!!! Mr. Vincent and Mary asked when THE MAZE RUNNER will be released in the UK. The rights have definitely been sold there (Scholastic/Chicken House), but I don't have a release date yet. I'm guessing spring or summer of 2010? Erin G asked if I still love peanut butter toast with tomato soup. YES!!!!!! CTW asked if I'll be doing any signings in northern Utah this Christmas. Nothing scheduled as of right now. Sorry! Always check back here on the blog for events. Many people have asked about the release date for THE SCORCH TRIALS. No exact date yet, but probably October of 2010. Or that vicinity. I put up a countdown on the right side of the blog. Blue asked if it's not better to just wait until a series is done and then read the whole thing at once. Hmmmm. I don't know. I think there's a definite joy in waiting and anticipating something you look forward to. Agonizing sometimes, yes. But fun. Fun to talk about the story and speculate while you wait. Fun to long for it. Isn't that the magic of Christmas? The waiting? Lula didn't necessarily ask a question, but made comments about the greatest college football team in the land (if not by record, by everything else), Georgia Bulldogs. Lula, you are wise and awesome. Jen Jenkins asked if it's too motherly to say she's proud of me. Absolutely not!!!!! Nor is it too grandmotherly or first cousin once removedly. MattE asked about my 13th Reality books. Matt, it's going to be a 5 book series. My favorite characters are Edgar and Mothball. Sally, too. And to everyone else - THANK YOU for the comments. I read them all, often more than once. And they really help get me through each day. Thank you very much. I'm thrilled that so many of you are enjoying my books. Cause I don't think that they'd understand. Oh, man, I'm so excited to show this to you guys! What do you think? This will be released by Aladdin (Simon & Schuster) on February 23, 2010. Just 3 months away! It's the second book in The 13th Reality series. The artist is Owen Richardson. I so love it!!!! 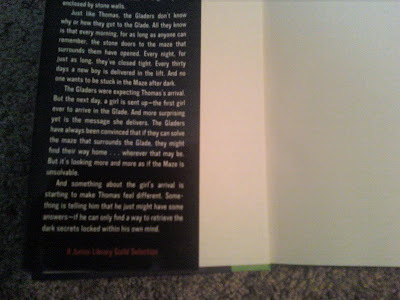 The hardbacks were actually done by a different artist as well, Bryan Beus. I'm so lucky to have had so much different talent to experience. :) These guys are all amazing. And a big thanks to my Aladdin editor, Emily Lawrence. She's awesome. I know it's slightly confusing that I have two series going on at the same time. It just worked out that way. I actually wrote the original draft of The Maze Runner before The 13th Reality. If you've read either one, please try out the other! I really think you'll like both. To preorder these paperbacks, you can CLICK HERE. I'll answer questions from the comments in my next post, I promise! Hey guys. What's up? I know I didn't blog last week. I wanted to, but I was performing a social experiment to see how the world would react if I went a full week without blogging. No results of interest. Yet. The Maze Runner has been out now for about a month. First off, that's hard to believe. I spent a year and a half counting down the days till its release, and now it's passed by, several weeks. I even remember thinking sometimes that once this book was out, life would never be hard again. Tee. Hee. Humans would be idiots if they weren't so darn cute. Anyway, almost everytime I talk to someone, they ask me how sales are. 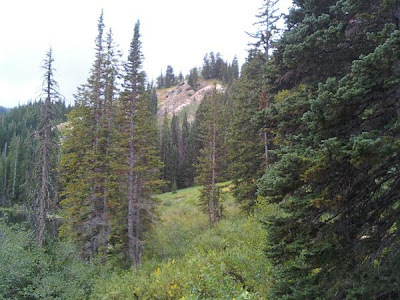 People have asked it in the comments on this very blog. People have asked me in email and on twitter. Complete strangers have asked me at signings. Lots of people want to know. Trust me, no one on Planet Earth wants to know more than I do! It's a very, very difficult question to answer. Now, that sounds like what someone would say if the news is bad news. No bad news here. Random House, my agent, my editor, me - we're all very pleased at how it's doing and how it's building. Each week has pretty much had more sales than the one before it. And we're just about to hit the Christmas season. But I can't share numbers with you. Not only because my publisher would kill me, but because they wouldn't make sense. The vast majority of people don't understand how this industry works. Just because I have a ton of support and marketing from RH doesn't mean I'm selling millions and hitting all the bestseller lists. I know I have other books out. But for all intents and purposes I'm a debut author nationwide. Hence the B&N Discovery thing. Also, my book is packed into a genre with a lot of books and readers who are currently in love with romance. And series take time to build usually. Had you heard of Harry Potter or Twilight when there was only one book out, and for just a few weeks at that? Most of you probably just answered no. Now, having said all that, my book is doing great! All the reviews and trending point to strong word of mouth. I have zero worries, and I'm the biggest worry wart in the history of time. (Ask my mom.) So that should tell you a lot. The numbers are solid and growing. I really think that by the time Book 2 (The Scorch Trials) comes out next year, it'll debut on the NYT list. And who knows? Maybe Maze will hit it before then. We shall see. So, there's your non-answer. How are sales? Great. Is that good enough? I hope so. I can honestly say that what thrills me the most is how many people seem to be enjoying it. Even those who give it somewhat negative reviews usually do so because they're ticked off that it's a trilogy and they didn't know that going in. They accuse me of milking the industry for more money. Hahahahahahahahahahaha. Not true. This was a series from almost the very first. And series are what people love in my genre. Anyway. Thanks for visiting, and have a great day! Wednesday I'll try to answer some of the questions you guys have asked me in the comments. 1. 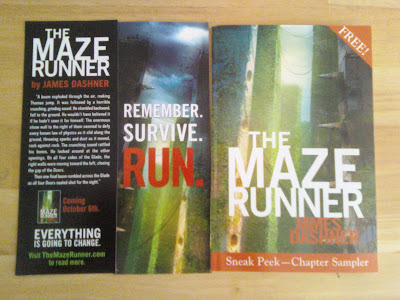 We've sold THE MAZE RUNNER into two more territories: Germany and Spain. I'm very excited, as always! I can't wait to have my very own shelf where I display the book in different languages. I may even force my kids to learn them all so they can read them to me when I'm an old geezer. 2. We had a very nice review today in Newsday: CLICK HERE. Contains perhaps my favorite quote from any review I've ever received: "In the crowded field of post-apocalyptic young adult novels, The Maze Runner has the testosterone to stand out." I love that! Thank you, Newsday. 4. I'm a bit stressed, but in a good way. I just happen to have revisions to do for both THE SCORCH TRIALS and Book 3 of THE 13TH REALITY. I can do this. I can do it. 5. I wrote a scene in 13th Book 3 that ended up being way too dark and they're making me change it. After a day or so to reflect, I can't disagree. I think I channelled too much of my Stephen King side and forgot that "technically" those books are not meant to terrify and horrify children and scar them for life. Dangit. 6. 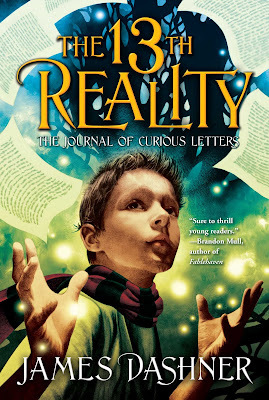 Did you guys know that the first book of 13TH REALITY comes out in paperback on December 22nd from Aladdin (S&S)? And that it has a new cover? You can preorder it pretty much anywhere now. 7. On the THE SCORCH TRIALS side, I had a great conference with my agent (Michael "Boom Boom" Bourret) and editor (Krista "Don't Call Me Dan" Marino) about the big picture, revisions to the book, plans for Book 3, etc. They are really pushing me and making sure I have every single duck lined up all in a row. And I know they and you tire of hearing me say it, but they are freaking brilliant. I really think you all are going to love Book 2 and how it all wraps up in Book 3 (THE DEATH CURE). 8. I hope everyone has checked out the incredible book video created for MAZE. If you haven't had a chance, please CLICK HERE and watch. Also, today is the last day to vote for your favorite video! Please go and do it. 9. Tomorrow at 3:30 EST, the Georgia Bulldogs have a chance to redeem their season. I expect everyone on Planet Earth to root for them against the Florida Gators, minions of the devil. 10. Oh, and please root for the Falcons against the undefeated Saints on Sunday as well. Thank you for your kindness in advance. 11. I'd like to apologize to Michael and Krista for the childish nicknaming. I won't do it again. 12. Everyone have a superb Halloween! One free word of advice: Never offer the bowl to the children for them to take the candy themselves. Those little buggers are greedy and will take it ALL! Are you there, Judy? It's me, James. 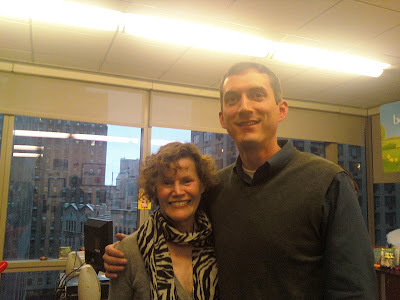 That right there is me and Judy Blume. Me. Judy Blume. In the same picture. As Sherman Alexie once put it so eloquently (at the 2008 BEA Children's Breakfast): that's Judy f***ing Blume! I've been thinking a lot about my 3-week, 8-city tour since coming home, and nothing seems to sum it up better than that picture. I met a lot of great booksellers, librarians, teachers, students, readers, bloggers, fans - and many amazing people at Random House itself - and I had so many incredible experiences. But meeting Ms. Blume was so surreal and unforgettable, and just seems to sum up how RH and The Maze Runner have changed my life. After shamelessly taking a picture and tweeting it, I entered the building, checked in with security and headed for the elevators. (At which point I popped in a piece of gum because that's what you do after eating a hot dog.) The doors opened, I stepped inside, and so did another person. A very nice, lovely lady. I knew immediately that it was Judy Blume - I'd seen her speak at BEA, right after the colorfully languaged Mr. Alexie. I wanted to say something, shake her hand, hug her, get down on my knees and thank her for providing all those books that - more than any other author by far - made me fall in love with reading as a kid. But I did nothing. The elevator dinged and we got off on the same floor. My publicist (the utterly fantastic Noreen Marchisi) was there to greet me, and the Delacorte Publisher (the utterly fantastic Beverly Horowitz) was there to greet Ms. Blume (from this point on I will refer to her as Judy because she is now my friend and you can't say anything different). Noreen and Beverly made sure to introduce me to Judy, we showed her my book, exchanged a few pleasantries, etc. She was gracious and wonderful. But the real kicker came later. After I did a phone interview, someone came and told us that Judy had invited us back to have "tea and cupcakes" with her. And that's when the surreal awesomeness of it all started. I spent the next hour chilling in the Big Boss's office (hi Chip Gibson!) with Judy (and several other great people, including my editor Krista and author and friend Carrie Ryan). She is so awesome, guys! Not a trace or hint of arrogance. Not a wisp of condescension. She made me feel like an equal and a friend. I loved hearing about her life in the Florida Keys and how she and her husband started a movie theater down there. (Which just made me love her all the more because I'm such a movie buff.) I really, really enjoyed every minute of hanging out with her. Even the cupcakes (Famous Magnolia's) were great! When we were done, she made me promise I'd come visit them in the Keys. Now, I know she might say that to everyone, but still. Don't burst my bubble! I'll never forget it. You may laugh, but it was as surreal as sitting down with Abraham Lincoln or Charles Dickens. Just amazing for me. I think only one event in my life could come close to matching this one, and maybe I should go ahead and shout this to the world as a plea: Could someone please make sure I meet Stephen King? As Judy defined my middle grade reading years, Uncle Stevie defined high school and everything after. So, there you have it. I'll try to share more stories from the tour in the next days and weeks. I do want to say one thing: Thank you to Random House. Not sure I deserved such fine treatment over the last few weeks, but I'm extremely grateful and I hope it was worth the cost. I hope my book makes you lots of money! I was so excited to see that The Maze Runner had not one but two articles in Publisher's Weekly today! And the writeups are so cool - really made my day. Here is the first one: CLICK HERE. And the second one: CLICK HERE. If you missed my writeup about the new book trailer/video for Maze, please CLICK HERE. Go watch it, go vote! The three week coast to coast tour is almost over - I have mixed feelings. I'm pretty exhausted and excited to be back at home for awhile with my family, but I've also enjoyed the whirlwind of this tour. So many experiences that I will never forget. And so much good food to make me fat. I do look forward to sitting around my office back home in my undies eating doritos, however. I do want to say this in all seriousness: the future of the world is in good hands. As I've met with students from both middle and high schools, I've been very impressed and encouraged. Most of them know what they want to accomplish in life, and are stone-set to do it. You can see it in their eyes. I'm not so scared to grow old anymore (and sit on my front porch as a geezer in my long johns eating doritos). Arizona has been so great. I head for LA tomorrow, appearing at Mrs. Nelson's bookshop in La Verne at 4:00. Then I'm speaking at the SCIBA conference Saturday night. Hope all is well out there. I've said it before and I'll say it again: I'll be much more responsive in the comments and on twitter once this tour is done! I've been tweeting about this like crazy, but in case you haven't heard: the official book trailer for The Maze Runner is now available online. It's part of the Kirkus Reviews 2009 Book Video Awards, sponsored by Random House and shown exclusively on the Barnes and Noble website. To see the trailer, CLICK HERE, then select the one by filmmaker Brighton Linge. And I won't try to sway your vote, but be sure and vote for the video you like the most. For example, if you thought the trailer for THE MAZE RUNNER is the BEST, then you should VOTE for it by clicking that little button. Which is what I did! I can't believe how awesome this video is. Seriously. When they showed it to me at the RH offices, I was totally wowed. I'm not sure what I had been expecting, but to see something so professional and terrifying and visually stunning blew me away. It's as good as any movie trailer I've ever seen, and has intensified my desire for the movie to be made by about, oh, a billion times. I don't know a whole lot about the filmmakers except that they are film students and I have three names: Brighton Linge, Jordan Taratoot, and Keenan Porterfield. I'm sure there are more and I plan on finding out and letting you guys know about them all. I can't believe how talented they are! Honestly, I wish somebody would give them 100 million dollars and let them make the movie themselves. So, everyone go watch it, vote, then let us know what you think here in the comments. Let's show these guys how much we love it! There's also an extended version that's twice as long that I really, really hope sees the light of day very soon as well. Stay tuned. Now go watch that trailer! And vote for the one that rhymes with The Schlaze Gunner. That is the name of the Barnes and Noble program for which I'm honored to say THE MAZE RUNNER is a winter selection! I've known this for awhile but couldn't announce it until now. I'm incredibly excited about this. Last night we had dinner with some awesome BN folks (hi Kathryn, Jill, Matt, Ben!) and they told me all about the program. I'm sure you guys have seen the section in their stores - every season they select about 14 books by up-and-coming writers to display and promote nationwide. Jill also said that it's usually geared toward books for adults, and MAZE was the only children's/young adult book chosen for this winter. 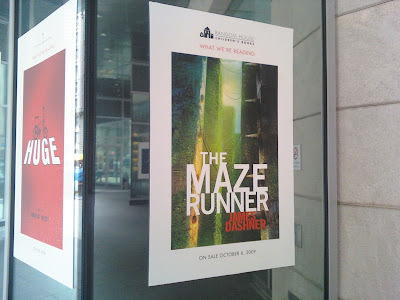 So, from November 1 to February 1, you'll be seeing a lot of THE MAZE RUNNER throughout the BN stores. I'm so honored and probably said the words "thank you" a thousand times last night, many of them also targeted on Ben, their teen buyer who is really supporting the book. But I'll say it one more time: Barnes and Noble, thank you. In other news, I'm in New York City and having the time of my life. 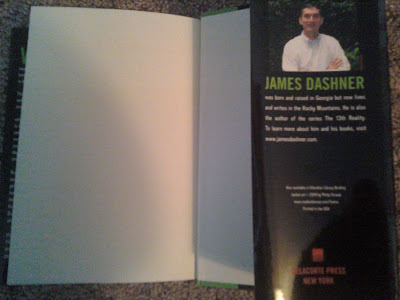 If you've missed the play-by-play, go check it out on twitter: http://www.twitter.com/jamesdashner. One of my favorite moments: I had an incredible in-house event at Random House yesterday, something I'll never forget. I met lots of people, signed a lot of books, showed them my school presentation and did Q&A. It's like one big family there! Loved it. Final thing: I saw the book trailer for MAZE yesterday, which will be revealed exclusively on bn.com very soon. It is incredible and frightening and is as good as any movie preview I've seen. I can't wait for you guys to see it. Stay tuned. Final final thing: I know I told you the event tonight at BN (86thSt) with Scott Westerfeld, Carrie Ryan, and Michael Grant at 7pm would be streamed live, but I lied. It will be filmed, edited, and then available on the web in a couple of days. Sorry! Stay tuned. Still to go: Washington DC, Salt Lake City, Phoenix, then LA. For the full schedule, please CLICK HERE. Well hi there. I know I've been relatively quiet on the blog, but I've tried my hardest to give regular updates over on twitter, so CLICK HERE to catch up if you missed it. You can actually read my posts without signing up if you want. I thought I'd just hit a couple of highlights. For all the wonderful students, teachers, librarians, bookstore folks, escorts, etc. I've had the privilege of meeting - THANK YOU. I wish there were time to mention everyone. Sidenote: Diane, Lili, Bill - I love you guys! One of the greatest events of my author career occurred at Brookhaven Middle School, sponsored by Copperfield's bookstore. 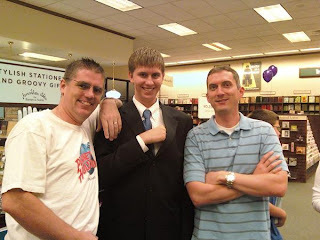 I first had lunch with this high school reading group, all of whom had read Maze beforehand. It just blew me away to hear them talk about the book - they really and genuinely seemed to love it. Which made me feel skippy. Then I spoke and answered questions with the middle schoolers - at least 100 of them, all of whom stayed after school to hear me. That, too, was an incredible skippifying experience. Thanks to Shari - if every student in America had a teacher like her, we could forget about all those nasty world problems like violence, stupidity and hunger. The other amazing event I experienced was speaking at the annual NCIBA (Northern California Independent Booksellers Association) breakfast. I got to go first as the rookie, which was great because then I could actually sit back and relax as Nancy Farmer and Berkely Breathed spoke. I absolutely loved every millisecond of their speeches. I was brave and did my usual Top Ten list - and there were plenty of laughs, though I'll never know if they were real because I had strategically planted several courtesy laugh primers in the audience. Genius, I know. Then I basically got down on my knees (figuratively of course) and thanked those people on behalf of all children everywhere for enduring and prevailing in these tough book market times. That couple of hours really proved to be a major never-forget in my life. Just a bunch of really awesome people. The book's been out for one full week now. I really have no idea how it's doing yet, but since I'm so new on the national scene, I think it will take time to build an audience. But based on the reaction so far, I hope word of mouth will build. And this week the books are coming out in some of the major retail chains like Target and Walmart. So its distribution is vast - now we just have to hope people are willing to part with a few bucks. I'd love to hear from you guys in the comments about... well, about anything! I love reading them even though I don't get to respond very much while on tour. I'll get better at that and replying to tweets once I get back. I'm in Chicago, then New York, then Washington DC this week. Salt Lake, Phoenix, and LA next week. For the full schedule, please CLICK HERE. Come see me! One event in particular I want to mention again, because *I think* you'll be able to watch it online: the post-apocalyptic panel at the Manhattan Barnes and Noble with me, Scott Westerfeld, Carrie Ryan, and Michael Grant. For details, CLICK HERE. So, yeah, I know that was kind of a laundry list type post, but there you have it. If you're new to the Dashner Dude, a very big welcome to you! I promise to be much more lively, responsive, and consistent once the tour is over. Leave me comments to keep my company while travelling about, okay? Don't make me beg! I have a weensie bit of time (is weensie a word or did I just make that up? 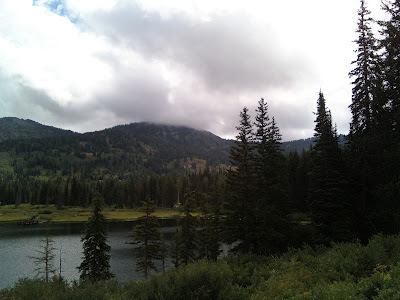 ), so I thought I'd pop in and update the blog. I'm not going to give you guys many details, because I'm doing my best to do that on Twitter and it's way too overwhelming to think about doing that on here as well. Much easier in short doses. So you guys were right - Twitter is good! It's easy to sign up and follow me: CLICK HERE. Yesterday was Seattle, today through Saturday is the San Francisco/Oakland area. I've had to get up at 4:00 am for two days in a row, so sleeping in until 8:00 tomorrow will be pure bliss. Yeah, I know, wah wah. Nah, it's not really that bad - I'm mostly kidding. I can honestly say I'm enjoying this all very much, and I do believe in my story and that it will connect with many readers out there. I do believe that. It might take time to develop word of mouth, but it WILL happen. Anyway. I'm sorry - this blog post has told you absolutely nothing. I hope my brain's not frying already after only two days. I guess I feel like I've spilled a lot of details on Twitter and I can't bring myself to repeat. So... I don't know. What do YOU guys want to hear about? Let me know in the comments so I don't embarrass myself with such a pathetic blog post again. My sincere thanks to everyone involved so far with the tour. I don't dare mention names - I just can't do it. I would leave someone out and I can't risk that. (So instead I mention no one? Great logic Dashner!) But so far every aspect of this trip has been wonderful and you've all made me feel important and loved. Thank you very much. See you all over on Twitter and back here very soon. Thanks for reading! 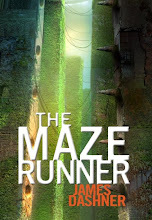 THE MAZE RUNNER: Now Available! October 6th. I just looked at my cell phone, and it definitely says October 6th. It actually came. This day actually came! I'm pretty sure I don't have to say this, but I will: I'm very excited. But, maybe for the first time in my life, I think I'm speechless. I don't know what to say. I don't know what to expect, either. Random House is throwing an unbelievable amount of support behind this book, and I know the goals are high. So I do feel a ridiculous amount of pressure for Maze to sell. But I also know I can only do so much. The story is written and brilliantly edited, the cover beautifully designed (yay RHCB design team and artist Philip Straub!). The distribution and bookstore support is overwhelming. I guess we just sit back, wait, and see how it does! I wanted to thank a few people in this post, and even started it, but then I realized I was just repeating what is already well stated in the acknowledgements of the book. But I do want to say the names of my wife Lynette, my agent Michael Bourret, my editor Krista Marino, my publicists Noreen Marchisi and Emily Pourciau, my publisher Beverly Horowitz, and my international rights agent Lauren Abramo. People, I love you and thank you. 1. I plan on using twitter a lot during this tour - I think it'll be fun for people to have a glimpse into what it's like. 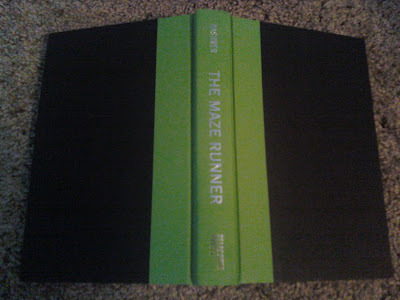 If you'd like to follow along, then go to http://www.twitter.com/jamesdashner. 2. I'll be coming to the Salt Lake City, Seattle, San Francisco/Oakland, Los Angeles, Chicago, New York City, Washington DC, and Phoenix areas. I'd really love to meet as many of you as possible! CLICK HERE for the full schedule. 3. The official launch party is tonight at The King's English bookstore in Salt Lake City at 5:00 pm local time. I'll be doing a reading and Q&A, but we should be there until 7:00 if you can't make it on time. The address is 1511 South 1500 East. And my wife is making treats! 4. Look for details soon on the post-apocalyptic panel that will be streamed live from the Barnes and Noble in Manhattan on Thursday October 15th at 7:00 EST. The panel will include me, Scott Westerfeld, Michael Grant, and Carrie Ryan. So... I guess that's it. My book is out and I hope you'll give it a chance and read it. Thank you so much for doing so! I read all of my blog comments via my phone, so please let me know where and when you see the book or buy it, what you think of it, anything. I'd love to hear from you guys as I'm out and about. Launch Party at TKE and etc. 1. We're just five days away from the release of THE MAZE RUNNER! I'd like to personally invite everyone on Earth to the official launch party, to be held at 5:00 pm at the very excellent indie store, The King's English in Salt Lake City, Utah. The address is 1511 South 1500 East, just north of the Starbucks. Please come! It'll be the first chance to get a signed copy of the book. Also, since it's kind of early in the day, I'm a little worried about the turnout (that's called neurosis). I'll be doing a talk and Q&A at 5:00, so come on time if you can - but we should be there until 6:30 or 7:00. 2. Then I head for Seattle, then San Francisco/Oakland, then Chicago, then New York City, then Washington DC, then Salt Lake again, then Phoenix, and we wrap up in L.A. For the full tour schedule of events, please CLICK HERE. I would really love to meet as many of you as possible! 3. I received my schedule for the tour - wow. I'm going to be one busy dude. Lots of interviews, lots of school visits, lots of signings. I'm a little nervous, but mostly excited. 4. One event is going to be pretty incredible that I think all of you can experience, no matter where you are. I don't know all the details yet, but on October 15th at the big Barnes and Noble in Manhattan, I'll have the honor of serving on a panel discussing post-apocalyptic and dystopian fiction with three other amazing authors: Scott Westerfeld (UGLIES, LEVIATHAN), Michael Grant (GONE, HUNGER) and Carrie Ryan (THE FOREST OF HANDS AND TEETH). The event will be filmed and streamed on the B&N website. I'll post the details once I know more. 5. In other news, I received my editorial letter and manuscript comments from Krista (Marino) yesterday for THE SCORCH TRIALS, Book 2 of the trilogy. I don't think she really reads my blog, so I can say this without anyone accusing me of brown-nosing: she is freaking brilliant. I can't tell you any specifics because it would just be spoilers, but she nailed so many things that will enhance the book and take it to another level, just like she did with the first one. I am a lucky author to have her as my editor. 6. I can't sleep at nights. I mean, usually I can, but I'm just too excited and antsy this week. 7. Did you watch the series premiere of FLASH FORWARD? As a die-hard fan of LOST, I'm really hoping this can fill that series' shoes once its done for good next spring. I am officially intrigued, especially by that brilliant ending of the first episode. Oh how I loved that! 8. That made me think of something: I'd like to take this opportunity and thank the people responsible for DVRs, TiVos, etc. You are more important than Isaac Newton, Albert Einstein, William Shakespeare, Charles Dickens, Peter Jackson, Abraham Lincoln, and Mother Teresa all rolled up into one. That is all. 9. Speaking of LOST, I'm going to be so, so, so sad when it's over. Any writer should study that series on so many levels to learn about storytelling, characterization, how to structure chapters (the individual episodes are so brilliant! ), etc. Sidenote: people don't realize how important the music is in that series! If FLASH FORWARD had the same music person, it would've been twice as powerful. 10. Well, that was kind of a random end to our list today. I have so many thoughts and feelings churning inside me as we get closer to launch day. I'll share more of those soon. I hope everyone is enjoying the best time of year: fall.